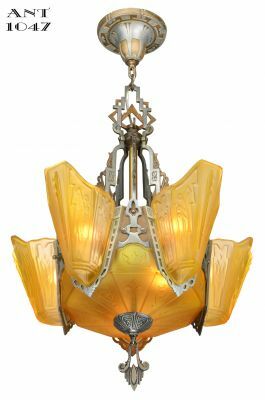 Four years of serious design have gone into creating one of the greatest deco chandeliers on the market today. 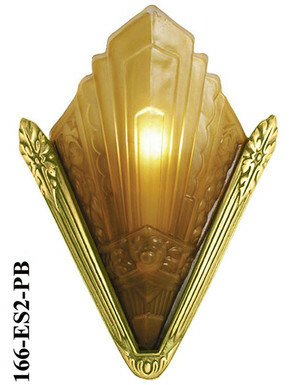 (See a fraction of the design process picture for interest). 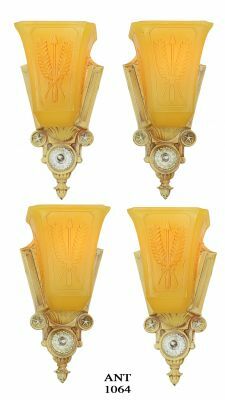 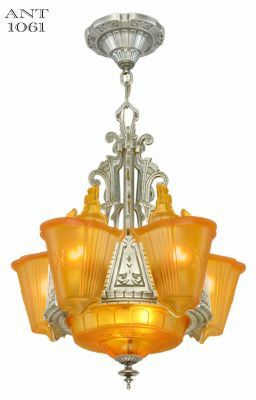 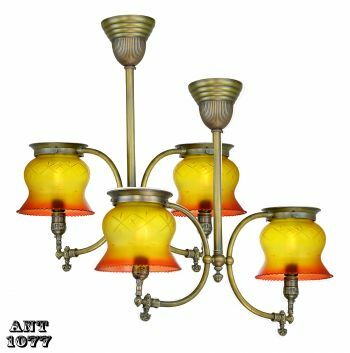 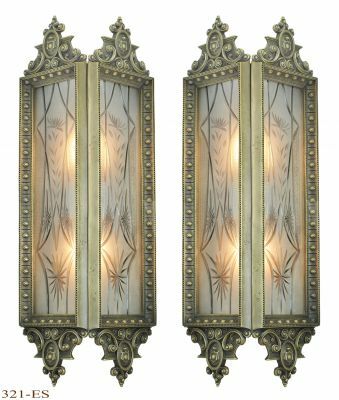 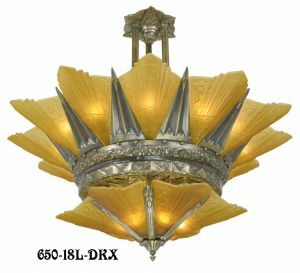 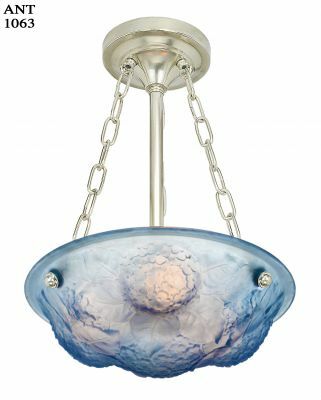 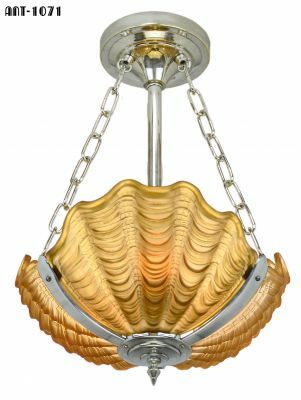 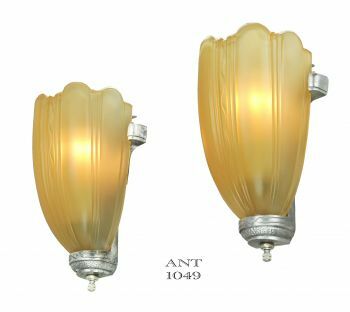 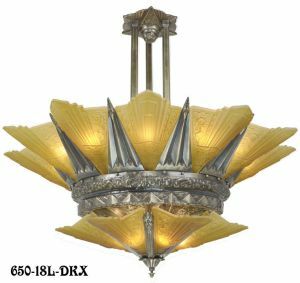 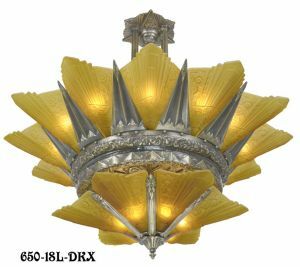 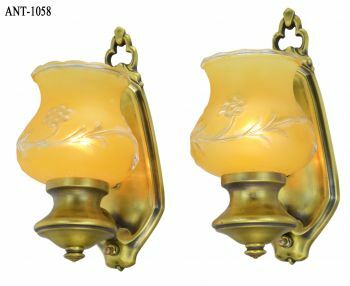 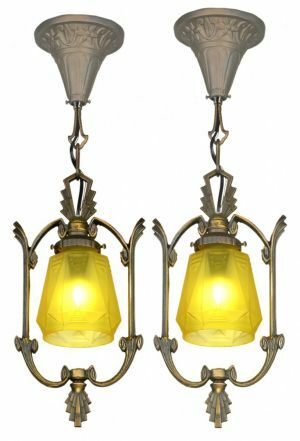 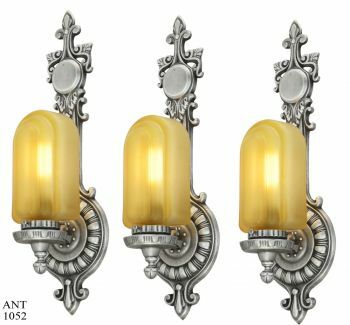 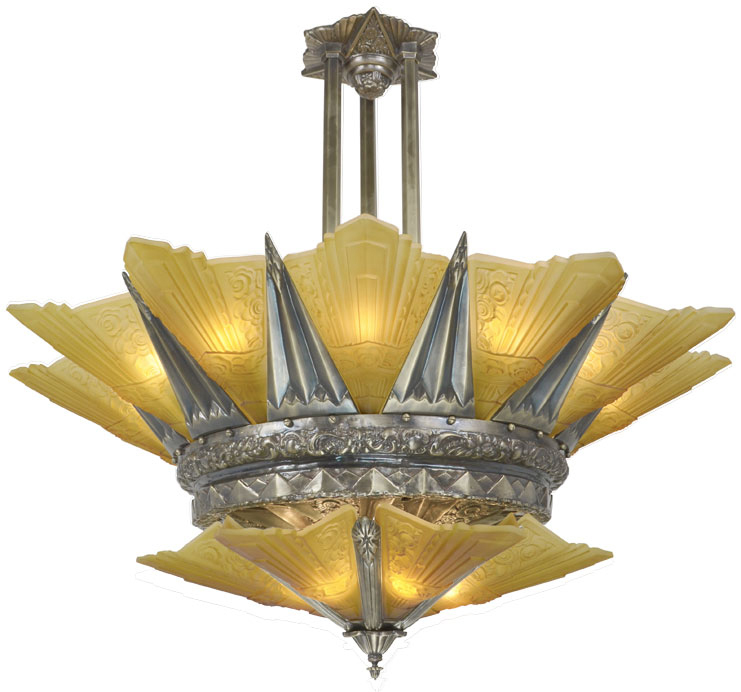 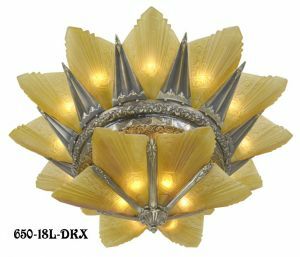 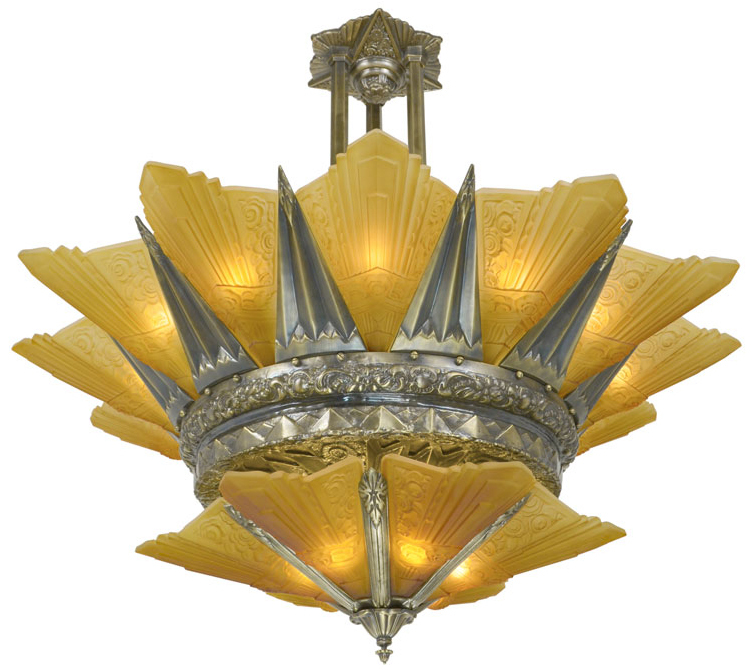 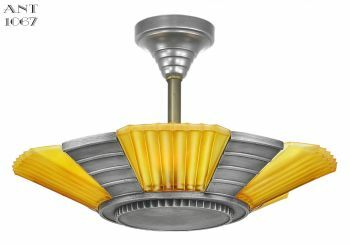 As a further addition to our Marseille Art Deco Series, this fine 18 light chandelier uses the same Marseille Series shade, but is larger than the 650-12L and a bit most impressive. 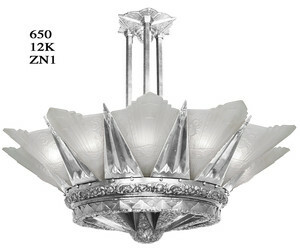 Two years ago we introduced 650-12L, which is our twelve light chandelier. Now we make it’s bigger brother, the 650-18L, an 18 light chandelier on two tiers. 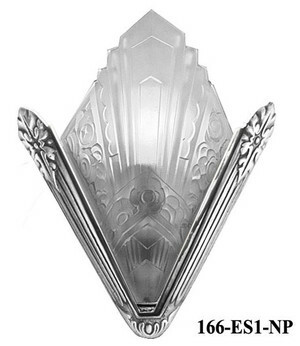 Height: Standard 45" in height. 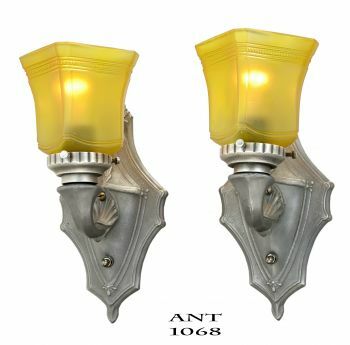 This height could be changed to longer or shorter to suit various installations. 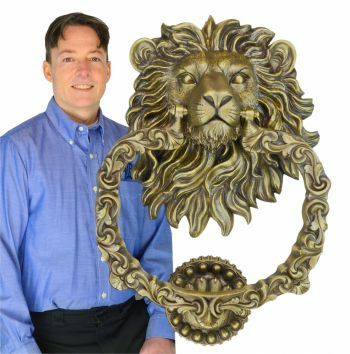 Weight: Be sure of your mounting...it does weigh in at approximately 130 lbs. 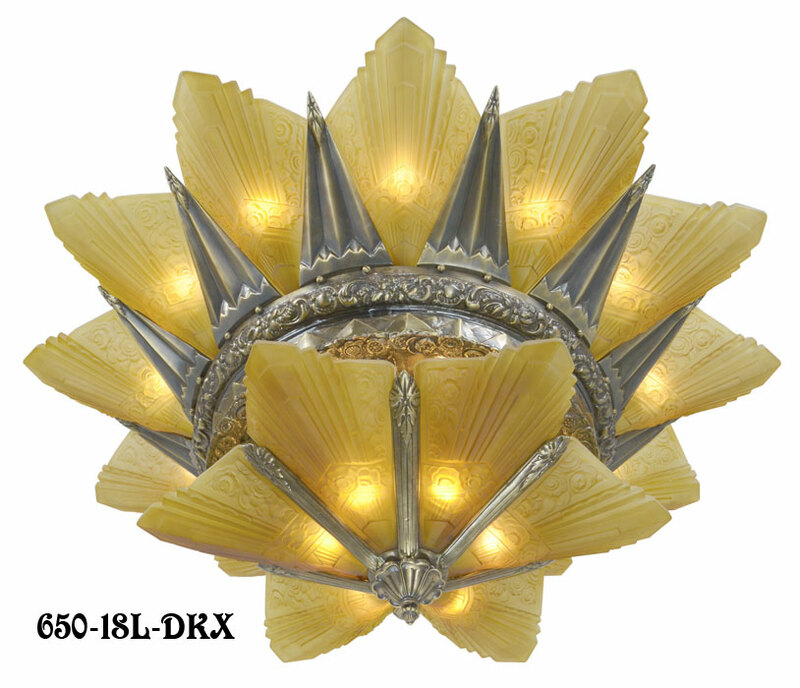 This large 18 light chandelier can be used with either incandescent bulbs, or energy saving LED light bulbs. 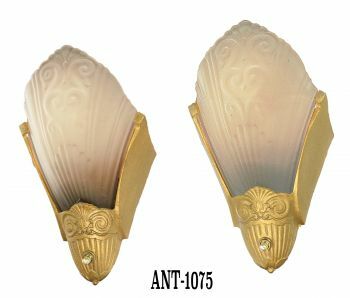 Each of the 18 sockets is capable of a 100 watts or greater wattage bulb, so significant lighting results can be achieved. 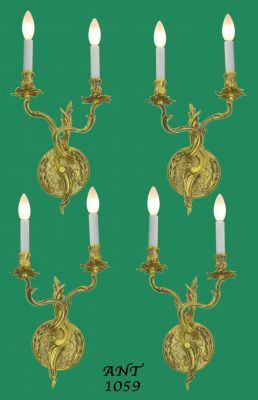 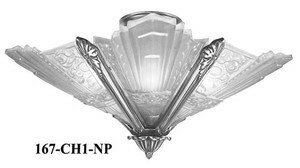 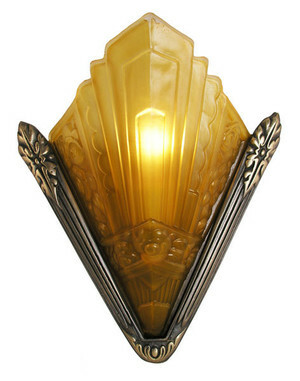 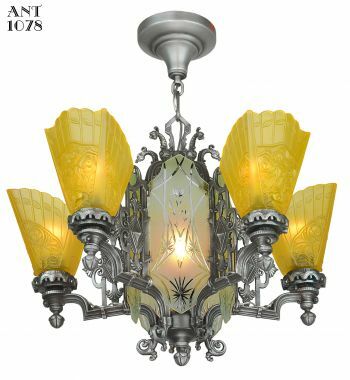 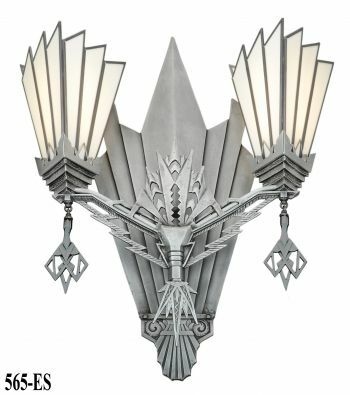 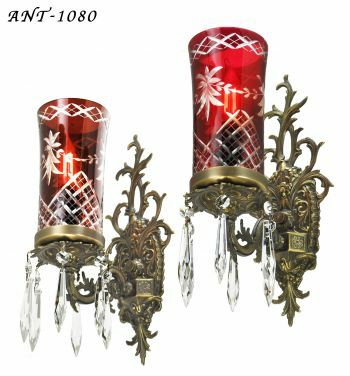 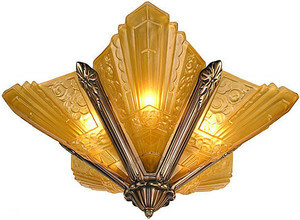 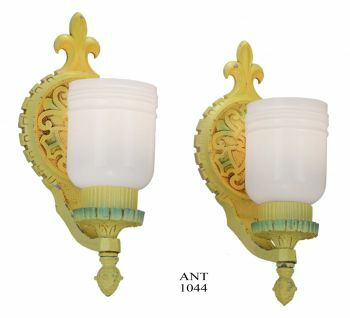 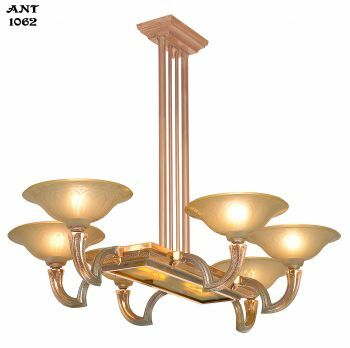 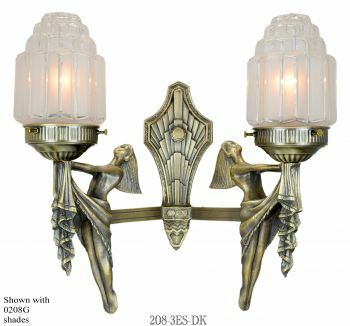 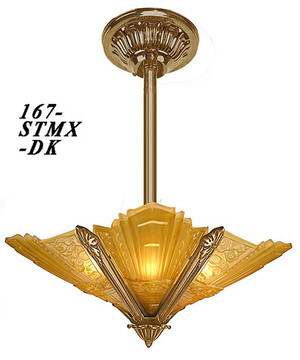 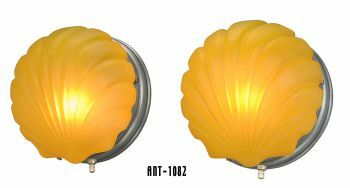 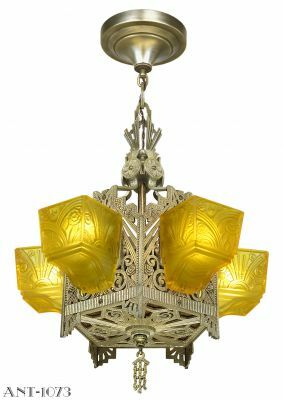 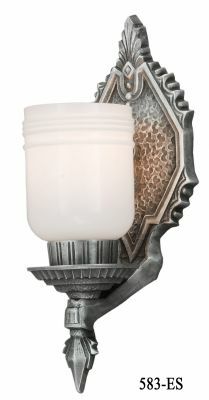 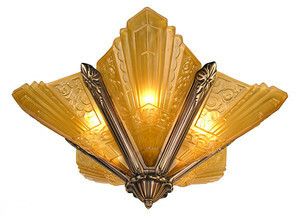 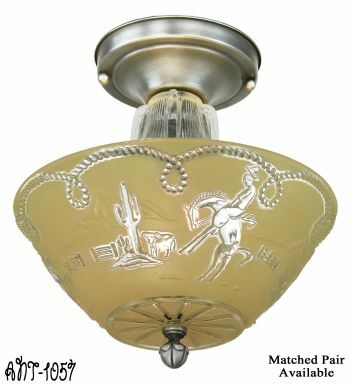 We believe that this is the only Art Deco slip shade chandelier series of this size and scale on the market today. 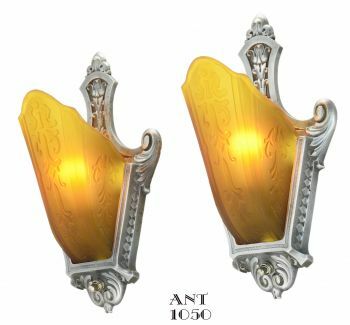 It has been four years in development, and we are very pleased with the continuing results and look forward to our even bigger versions. 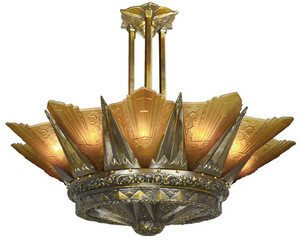 Price: $5,750.00, plus shipping. 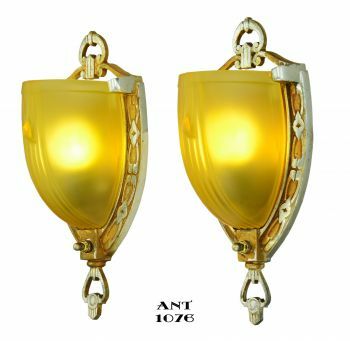 Comes complete with the 18 shades, choice of either frosted or amber color, and white or amber mica inserts.